November 26 News | Jobs in Film, Radio, Audio. Stays Motivated, Works with Raiders! Film Connection graduate Sam Freed (San Francisco, CA), who externed with mentor Danny Agnotti of Atomic Productions , emailed us this bit of news: “I officially work for the Oakland Raiders doing video!” Naturally, we just had to catch up with Sam to hear how he landed the dream-fulfilling job and find out more about how he’s building a thriving career he’s thrilled to be having. What are your biggest takeaways from studying with Film Connection? “The biggest takeaway from studying with Film Connection was the hands-on experience. In my opinion, there is no better way of learning something new other than physically being on-site and seeing the action done in person and trying for yourself… With my mentor, Danny Angotti of Atomic Productions, there with me along with everyone else [who was] part of the production team, I was able to learn a lot faster and grasp things quicker when they would invite me along for shoots and have me sit in the editing suites with the editors. I was able to learn what life was like on-set. How people interact with one another, how they communicate with each other, how they transition from one shot or scene to the next. These are things you cannot just read in a text book and fully understand… Atomic taught me the ins-and-outs of being on-set for commercials and corporate shoots. We did shoots for Ford, Toyota, The 49ers, the Raiders, Mercedes-Benz, and numerous others. I felt like I was headed in the right direction with all of this experience of being in different settings and was getting a better understanding of how I wanted my film career to unfold.” How did the Raiders video job come about? What led up to it? “While being with Atomic Productions, occasionally we were hired by the Raiders’ in-house production team to help out. Most of the time it was just an additional camera, or sometimes we had to cover an event for them. Growing up, I have always been a football fan. …When I first wanted to get into the film industry, I always wanted to do something with the NFL. It was my dream. Fast forward 4 years after finishing with the Film Connection, Atomic Productions would continue to hire me as freelance for projects from time to time. I noticed we continued to help out the Raiders quite often, so I sent one of the Senior Project Managers a message on LinkedIn offering help if they need it in the future. I got a call 5 minutes later asking if I wanted to join their in-house production team. During the call, I instantly got the chills and could not believe my dream was becoming a reality. I had finally made it into video production for an NFL team.” Since graduating Film Connection, how have you created success for yourself? Sam Freed in action. Raiders’ Marcell Ateman in foreground. “Once the program was finished, I knew I was not done. I did have to continue my full time job at Costco to pay the bills, but I knew the film career was calling my name. I got out there and met people and looked for work. I would continue to ask Atomic if they ever needed any help or I would even look on Craigslist to look at job postings and even LinkedIn for job postings. The Film Connection actually contacted me about a counselor who had a friend who needed a wedding videographer. I had never filmed a wedding before. What’s even funnier is I had never even been to a wedding before in my life! I had no idea how they worked or what went on. Anyway, I took the gig… I showed people the video once I finished [it] and everyone loved it. I felt like I was on to something here with all the great feedback. So I noticed where I’m from (Sonoma County) that there was a Wedding Expo. I thought I would give it a shot and just put myself out there. I purchased a booth, set up the small amount of gear I had at the time with my computer monitor displaying my wedding videos (I think by this time, I had 2 or 3, so not much to show). I didn’t get anyone to book me that day so I felt a little disappointed. Months down the road, the bookings started flowing in. In my first year, I had 7 bookings…This was back in 2014. Fast forward to 2018 and I am now booking 15+ weddings, charging $3,000 and received the Couples Choice Award of 2018 from WeddingWire.com.” What should other Film Connection students do to ensure they get the most out of the program while they’re in it? “Enjoy every moment of it. Really take in what you’re learning, pay attention, and put what you learn to practice. Ask as many questions as possible and stay interested. Offer help whenever you can to your mentor and his team. Most importantly, take a chance. I was scared about enrolling in the Film Connection. I wanted to back out because I thought it would be a waste of money and I was just scared to take a leap. I am so glad I took that giant step into the program, to learn and begin my adventure in [a] film career, [and] to turn something I love to do from a hobby into a career. There will be times where you will fail or mess something up and embarrass yourself. A camera guy or producer will ask you to grab something and [you’ll] have no clue what it is. Don’t be afraid to ask what it is or what it looks like. Everyone starts somewhere and you can only go up from there.” The work itself can be hard, super hard. How do you stay driven and self-motivated? “The way I stay driven and self-motivated is to take a moment to think, sit back and think of what I have. I could be stuck at a lame job I hate or even still stocking at Costco. They say 17% of people in the world actually have a career they wanted to do growing up. I wanted to be a part of that 17%. I sit back and think, ‘Here I am getting paid to do what I love to do.’ Days at work don’t even feel like work because I love what I’m doing. I want to be there and I want to have that camera in my hands. You only have one life on this planet and it should be what you want it to be. Get out there and do what you want to do. Strive for it and don’t quit till you get there. There were times where I wanted to give up because there wasn’t much work coming my way and I was afraid I was going to fail. Then things just started coming my way. Good things will happen. Sometimes opportunities will just come out of left field. I use my passion for video production to fuel the fire inside of me to continue to push myself and stay motivated to getting better and better every day.” Learn more about the Film Connection to study Cinematography, Directing, Producing, Screenwriting, and more! on The Relationship Behind the Glass, and More! Kelly Jones has been a Recording Connection mentor for more than a decade. As co-founder of Da Spot Recording (Richmond, VA), the audio engineer/producer/manager is known for instilling our students with a deft understanding of the craft and art of making music, right alongside superior studio etiquette and soft skills like client interaction, coaching, and collaboration. We recently caught up with Kelly to garner a few words of wisdom we can put to use and to learn more about the Recording Connection graduate he just hired—Trevion Belton! In a prior conversation with us, you mentioned “the relationship behind the glass” as being as important as technical prowess. Could you explain? “A lot of times nowadays the engineer and producer lines kind of blur. So what happens is that artist is coming into the studio, this is their artwork, this is their baby. They’re entrusting you to take care of their baby in the recording process…They’re saying, ‘Okay, my vision is this. I want this.’ And that’s really a producer’s job, to get what the artist’s vision is onto the tape or whatever. [But] as an engineer you can’t be cold and just pushing buttons, a monkey can do that. So you have to let them feel comfortable while they’re there, make sure they’re comfortable, make sure they’re able to translate to you what they want, and just kind of make sure that session flows at a good pace and a good rhythm for that particular artist. That’s probably more important than being technically sound, is dealing with different personalities. And the goal is to make sure that artist feels comfortable, is great, and wants to come back to this studio versus go on to another one. So that’s a big, big part of it, and we spend a lot of time on just that alone, understanding what the artist wants.” Do you think students really need to be passionate about audio engineering, or music, or sound in general when they’re walking in the door? “In this business, people get caught up in the lights and the glamor, and they think, ‘Oh, I’m coming into a studio.’ They know Kendrick Lamar has been here, Ashanti, all these people have been here. So they get caught up in, ‘Oh, I’m going to be working with all these stars,’ and all this and that. And the reality is you might see them once or twice a year, and that’s it. The reality is you’re going to be actually doing real work.” Do you have any tips on how students can train their ears? 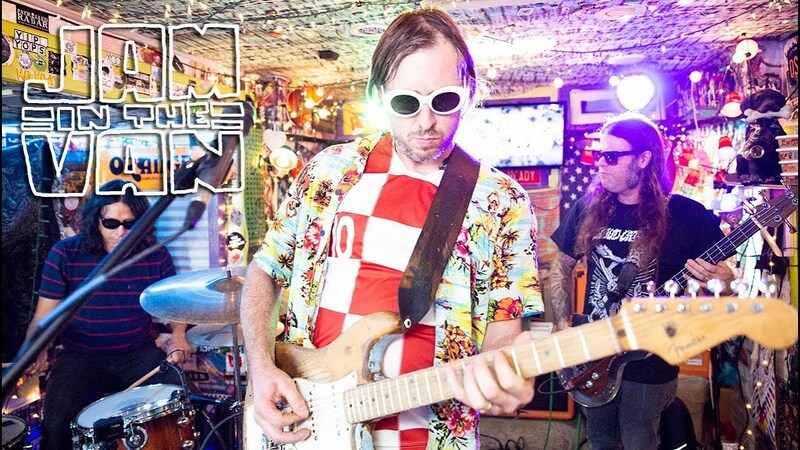 “Find a song that you think sounds good, and then try to pick it apart in terms of listening to every instrument, every vocal, all the different parts of the song…. I think that helps you train your ears to know what to listen for later. There’s a lot more to it than that, but that’s kind of where I’d start.” What can a new student do to impress you? “Be proactive. Come to class prepared and knowing that… Then have questions [prepared]…If they’re doing stuff on their own time and they’re coming in prepared, then I’m going to give them that much more. So I think that’s one of the things that Trevion did, to be honest with you.” Trevion Belton who recently got hired by you? “Yes…If you’re putting in the work, I’m seeing it…I just hired Trevion, who’s here right now. He just finished the program and I’m very proud of him.” What skills or qualities do you look for in potential students? “It really doesn’t matter to me that much what your skill set is…The less they know, the better. Because you know, sometimes there are people that know just enough to be dangerous. So the less they know, the better. Other than that, as long as they are computer literate, I think I’m okay with it, because I’m going to show you my way either way.” Learn more about Recording Connection’s programs and workshops in audio engineering, music production, hip hop, beatmaking, and more. 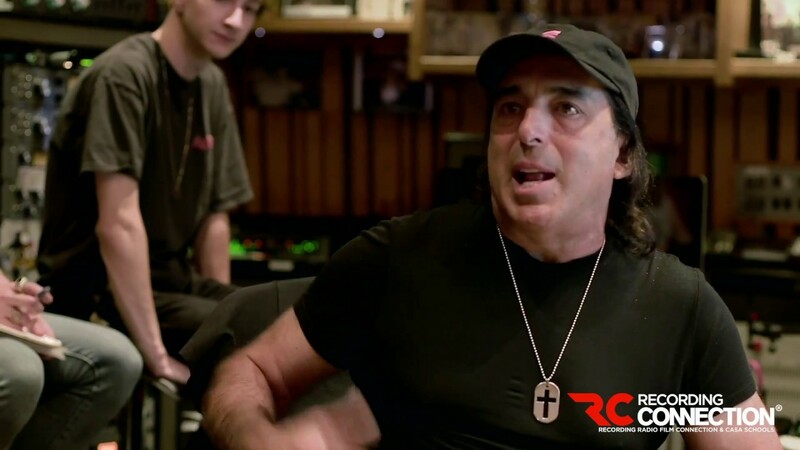 Five-time GRAMMY® Award-winning mix engineer CHRIS LORD-ALGE (Rage Against the Machine, Pink, Linkin Park, Madonna, Lady Antebellum, Krewella, Green Day, Keith Urban, Carrie Underwood) directed the 2nd Annual CSABA PETOCZ MASTER CLASS WORKSHOP at MIX L.A. Studios in Los Angeles! Catch a sneak peak in our Media section below!